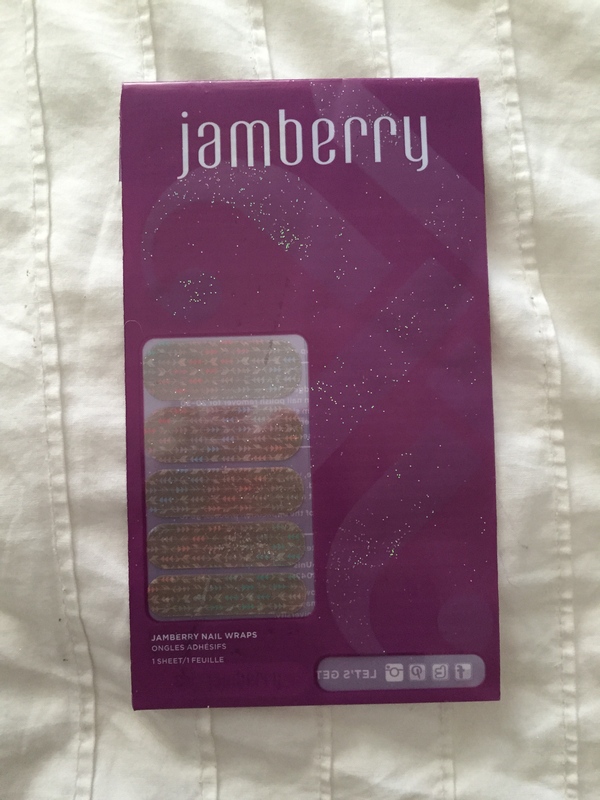 I love doing my nails as a lot of you know by now and one of my friends on instagram Allison @ALLIFLWRJAMS introduced me to these awesome nail stickers from Jamberry. 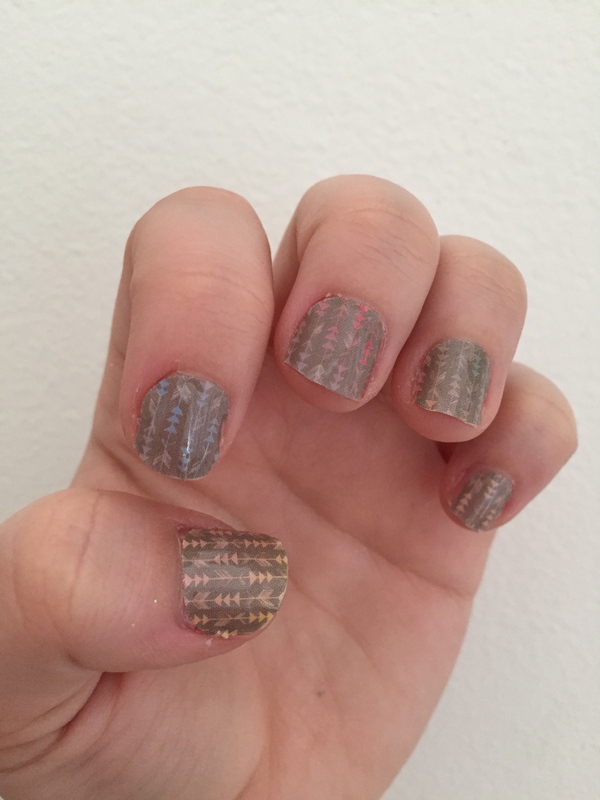 I have used nail stickers in the past but haven’t in a while so I was incredibly excited to be able to try these out. You get a sheet and it is enough for 10 fingers and toes (talk about a good deal!) and they last seriously forever, seriously mine lasted for over two weeks!!! 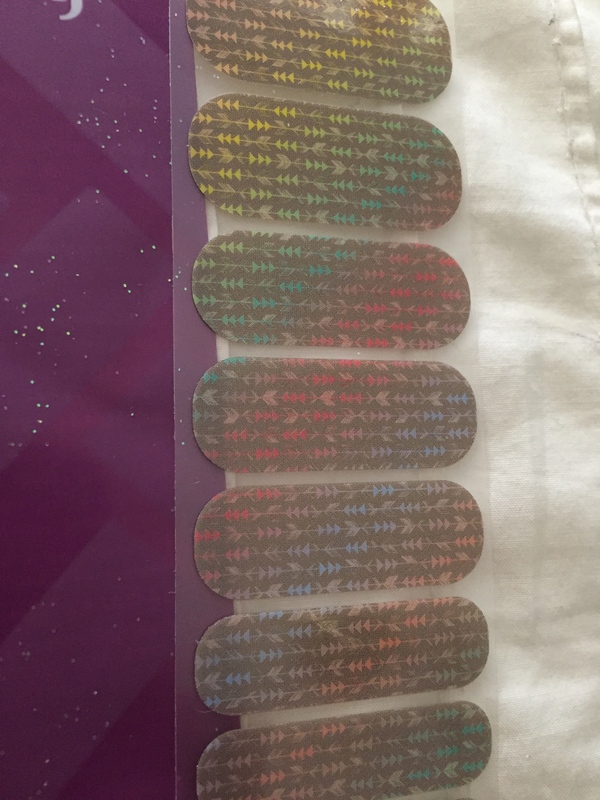 Unlike traditional nail stickers you heat up the sticker to get it pliable and then apply it to the nail. This was a little difficult at first but thanks to Allison for sending me a video on how she applied them made the process a lot easier. 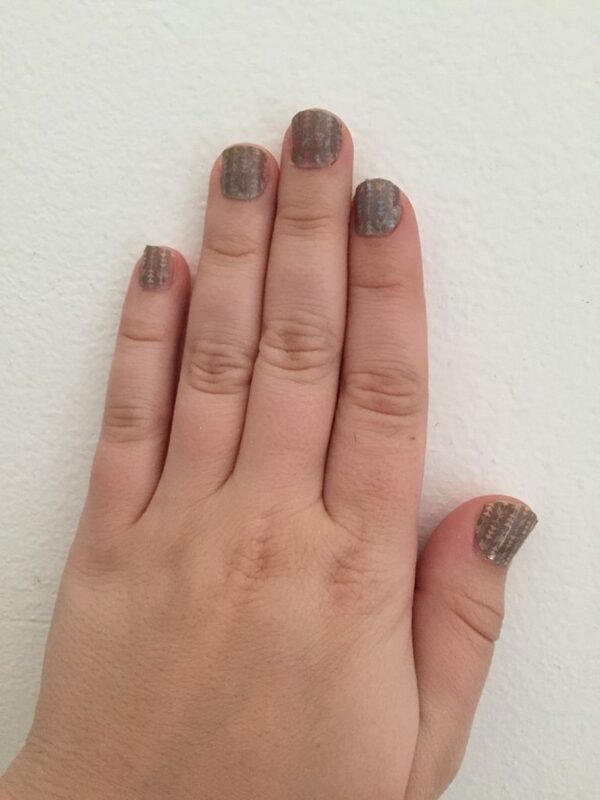 I thought the print was so much fun for fall, muted colors that really remind me of changing leaves. If you love these or are interested in nail stickers that I would defiantly check these out and they have so many different prints its really hard just to choose a few! Follow Allison on instagram which has her contact information! Hope you all enjoy and I would love to see and hear about your favorite Jamberries! Its almost the end of October! Ugh can you even believe it, I feel like this month flew by! I know this is a little late, I was having some website issues and then I was out of town but I wanted to share what I got in my October Birchbox and Ipsy this month. Both had products that I absolutely loved and I have to say this month I am SUPER impressed with my Birchbox since everything single product I got I ordered again! I hope you all enjoy these posts and I would love to see what each of you got and what your hoping to get in this months round of boxes! Talk to you soon! As you may know by now I am a huge dry shampoo freak! I love trying as many as I can to see what works and what leaves me wanting more. I have my solid go to’s for days when I need something that I know I will love and get the job done. The Detox Dry Shampoo from Dry Bar is hands down one of my favorite. 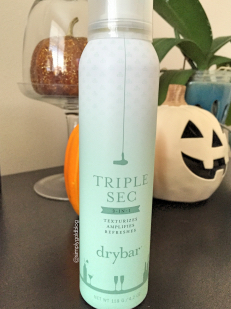 So when wind came of the new Triple Sec from dry bar I knew I just HAD to try it! This is unlike a regular dry shampoo because it does three things in one. It gives major volume to flat limp hair or for those of us who were not gifted with hair that defies gravity, it acts as a light dry shampoo, and it provides UV protection for our colored hair friends. 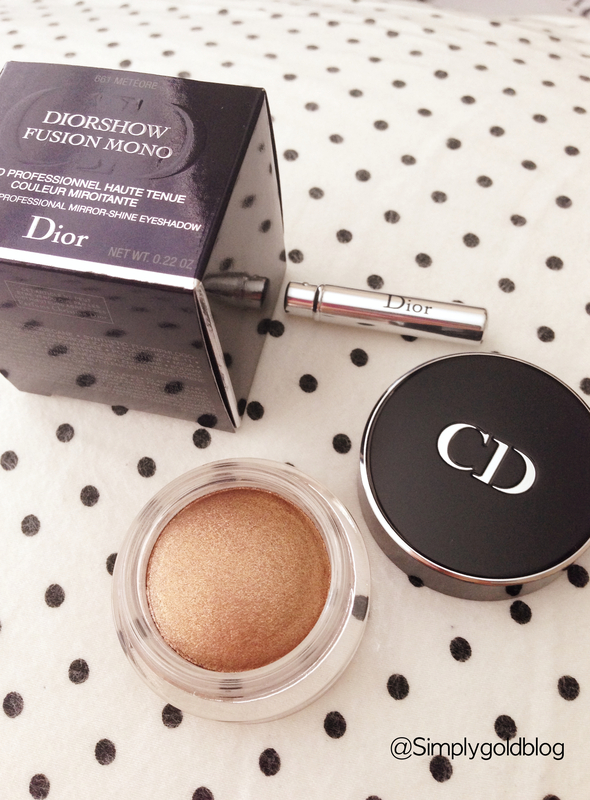 I have been testing this out for three weeks now and I am beyond thrilled with it! It not only smells of a tropical fresh paradise (which is important when it comes to dry shampoo) but it is translucent! I love that I don’t have to worry about making sure I rub out the white powder of traditional dry shampoos, I can just spray let it dry for a second then give it a good rub and I’m good. I have such fine hair and the volume that is gives my hair is almost unreal and it makes my hair smell so fresh all day as if I had just left the salon. 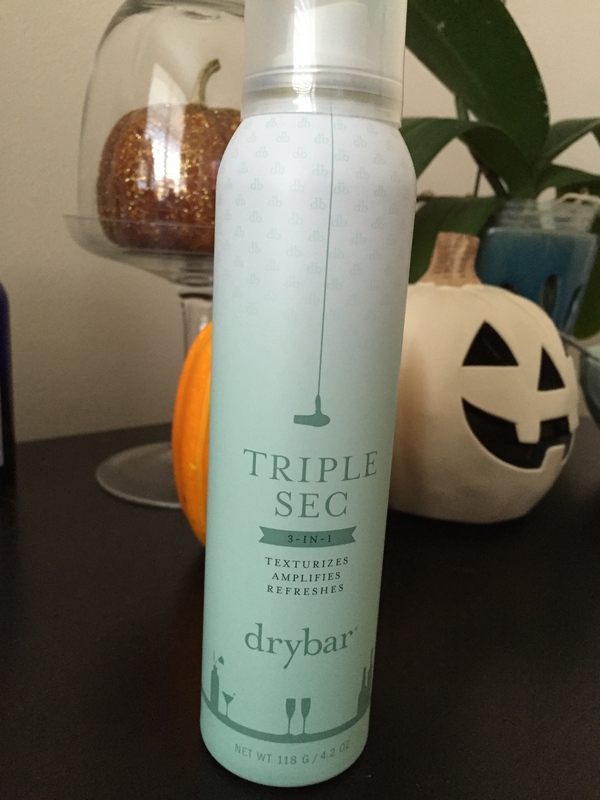 I picked my Triple Sec at Sephora but if you have a Dry Bar in your area you can pick up there as well and online! Hope you all enjoyed this review and would love to hear if any of you have tried Triple Sec and what your thoughts are! I am so excited that it is finally October! Even though I live in south Florida and it doesn’t change season pretty much at all I still love the fall time. 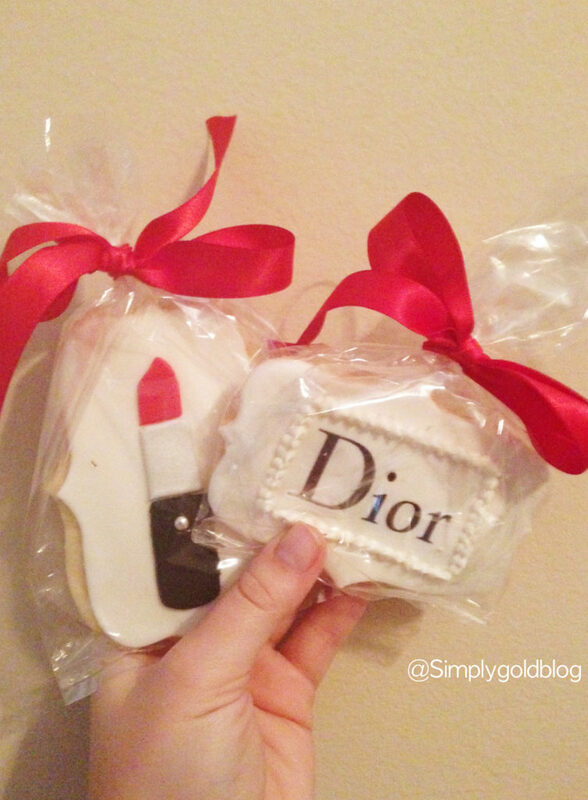 The days get shorter, shadows are longer and that means a whole new month of goodies from my monthly subscriptions! This month my Julep Maven box was the first to arrive and I am completely in love with the colors. 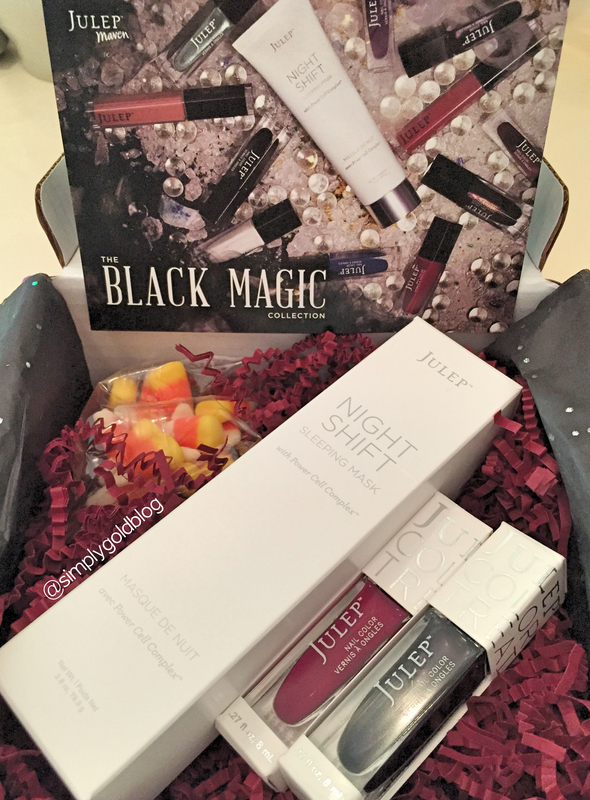 Sticking to a fall theme The Black Magic Collection colors are completely perfect for the upcoming season and there is always a beauty bonus included. This month I got the colors DeAnn a beautiful and rich cranberry color and Logan which is the wonderful shimmering deep eggplant color. They are hands down wonderful and can not wait to use them My beauty item was their new Night Shift over night mask which when applied before bed helps to rejuvenate your skin and leave it bright a radiant in the morning! 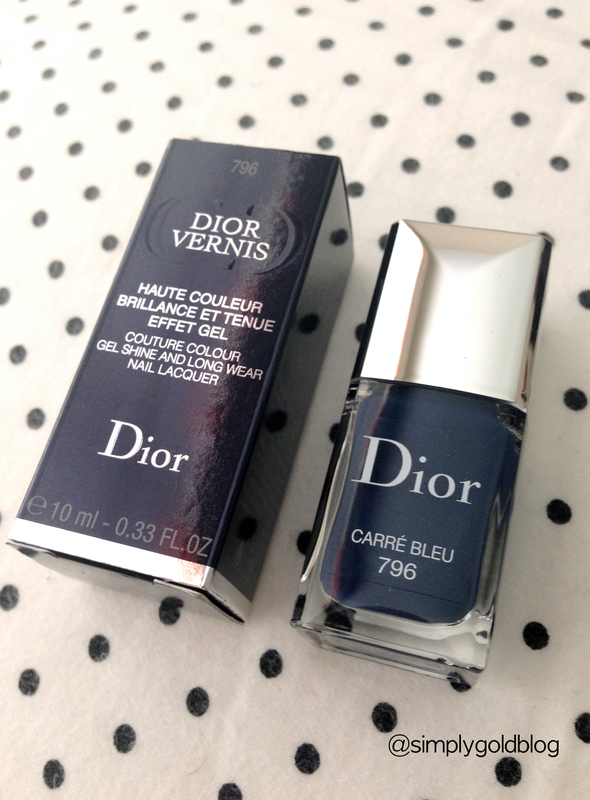 Like I said I am completely in love with this months box! 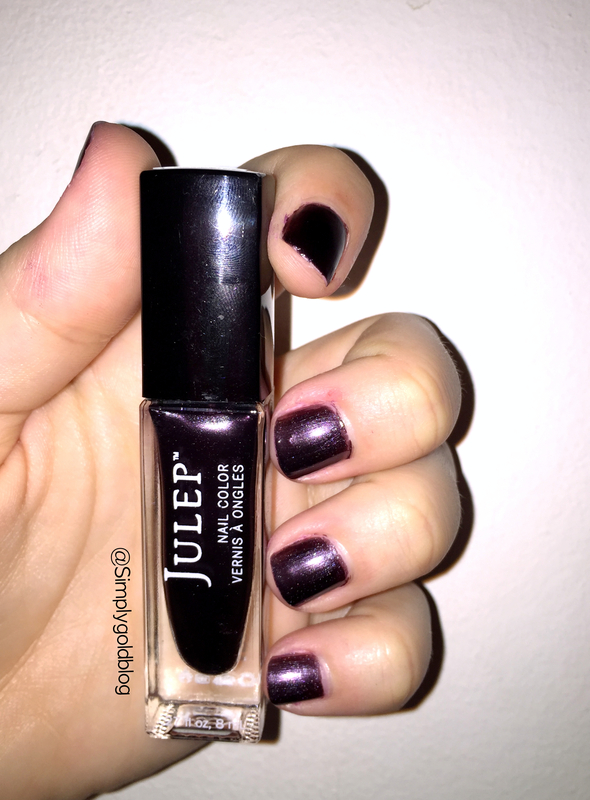 If you are interested in becoming a Julep Maven I will link the information here and its a $20 a month subscription! 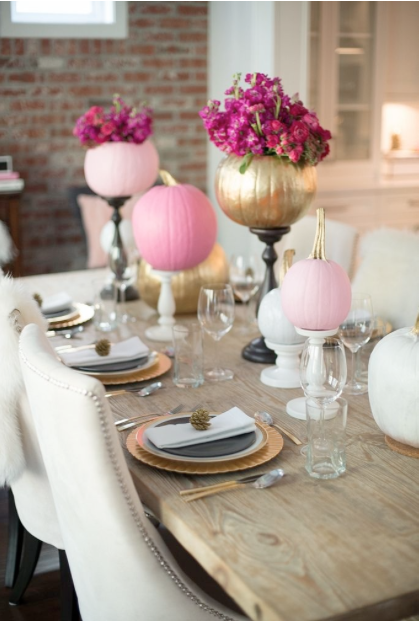 If you are on Pintrest ( I mean honestly who isn’t these days) then you know that with the change in seasons come all new holiday inspired pin boards and decor to get us all in the spirit. 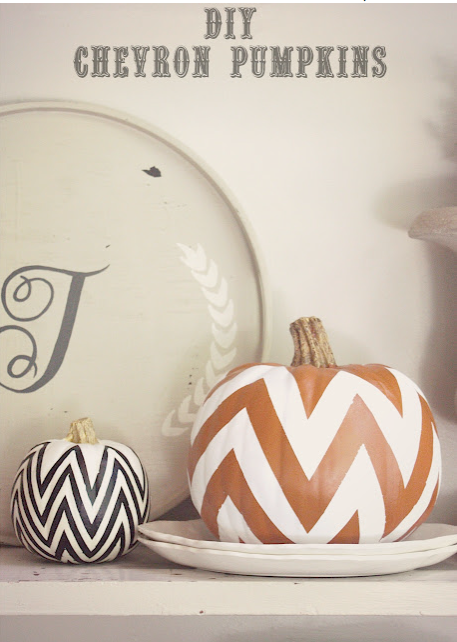 I try and browse around pintrest a couple minutes a day just to see what everyone is posting, or trying to find inspiration for a new recipe and I really have been loving all of the fall decor! So in a tribute post to fall I have compiled some of my absolute favorite fall pins and the links (just click on the pictures!) where to find them. Hopefully you all love them as much as I do and Im really looking forward to some DIY’s the year. 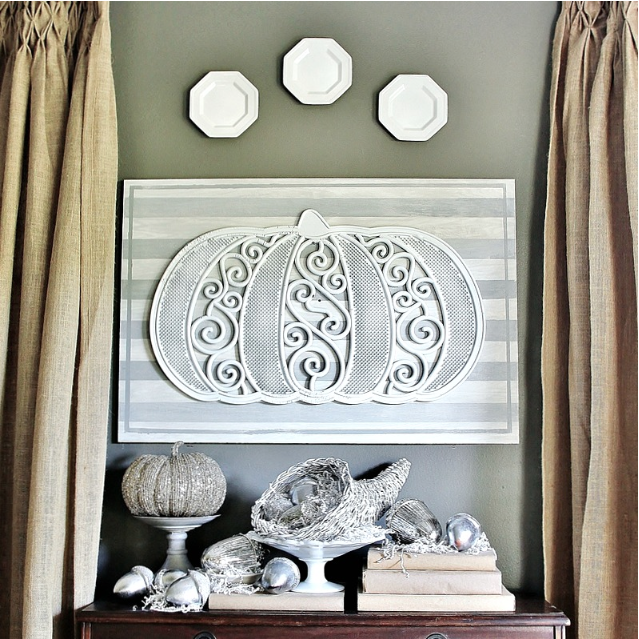 (who am I kidding I just can’t afford to buy the entire Pottery Barn fall decor section, cue for sobs) If you are on pintrest please follow me! I love connecting with all of you! P.S. 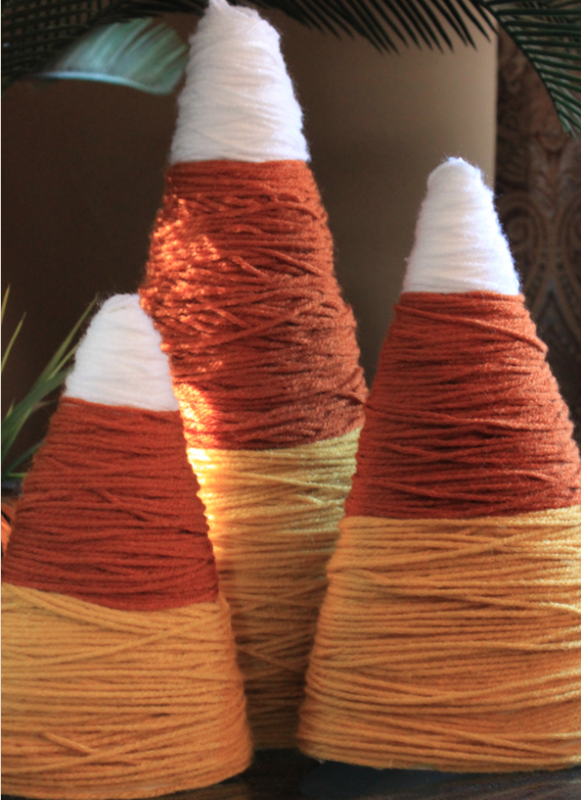 I am totally getting my craft on with some of these and I can hardly contain my excitement! 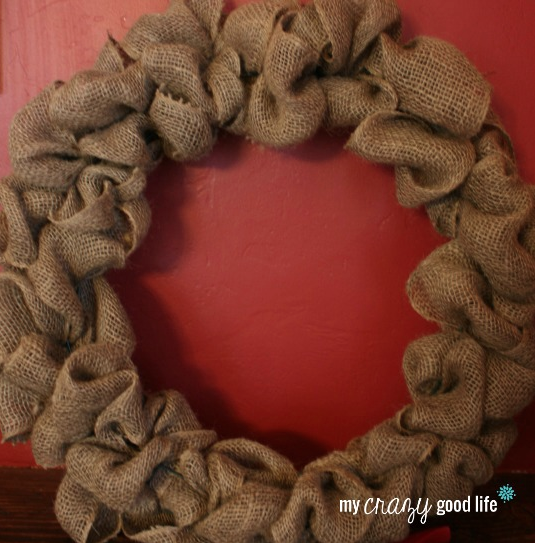 I have already made the wreath and just need to find the perfect little decorating pieces!